If you want to make the most of your backyard, you've probably considered adding concrete pavers. Whether you need pavement around a swimming pool, are building an outdoor kitchen, or looking to upgrade your driveway, pavers are a great way to enhance the beauty of your outdoor spaces. 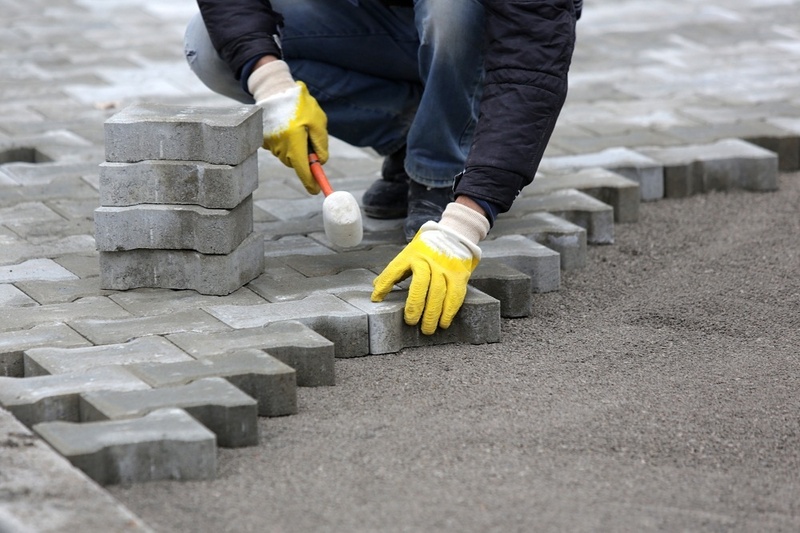 If you want to get the most out of your pavers, however, you'll probably want them sealed. Like most other materials, concrete can become stained or their colors can fade over time. Having them properly sealed ensures that your backyard will look as good years into the future as it does the day you had your concrete pavers installed. Here are some things you should know about the many purposes served by patio pavers in Suwanee. The sun is the giver of life, but it can wreak havoc on everything. Just as our skin can suffer damage from the sun's UV rays if not protected, our furniture, homes, cars, and practically everything we own can become damaged from exposure to the sun. The same is true with concrete pavers. Those gorgeous brown and red pigments that enhance the beauty of your concrete pavers will become dull over time from the sun if you neglect to have them sealed. Not only do paver sealers prevent pavers from fading, they actually bring out more color. Working much like a varnish on wood, adding a sealer to concrete has the effect of enhancing the color that already exists in the paver, and increasing its contrast with the surrounding environment. If you like, you can use a sealer that has a "wet" look, so your pavers will always look fresh and new. 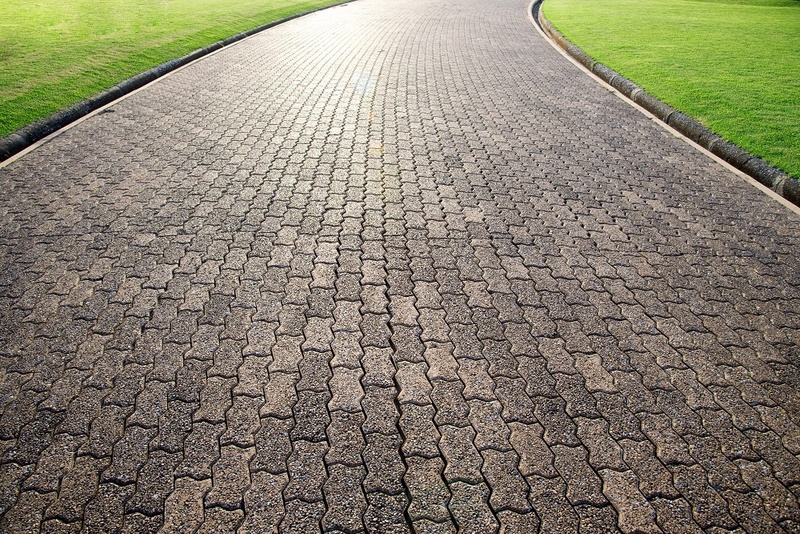 The sand that's used to hold interlocking pavers in place can be displaced by wind as well as years of wear and tear. Joint stabilizing sealers hold the sand in place, keeping the joints more firmly sealed, and increasing the firmness of your pavers. This is particularly suited towards pool decks, where the sand is liable to go flying off into the pool if not solidified. Concrete is a fairly porous material. Not only can this result in damage over time as weather and moisture take effect, but staining of the pavers is all but inevitable. Sealers act as they're named: they seal. This prevents the pavers from soaking up moisture and oil, keeping them protected from stains. Cleaning up spills is always easier with sealed pavers since there's nowhere the spilled matter can go. Some sealers shouldn't be applied until at least a year after the pavers are installed. Pavers arrive with a natural, chalky build-up known as efflorescence that takes several months to naturally escape from pavers. Applying a sealer too early can trap the efflorescence inside. However, some sealers are breathable and don't require a waiting period. To see which kind of sealer will work best for your own concrete pavers, ask the help of a local expert paver in Suwanee. Letting a pro handle the sealing themselves will simplify the process and ensure that you get the most out of your concrete pavers.